About 2 years ago Amazon started selling a Kindle for Kids bundle, and it sounded like a good idea on the surface, but up to this point it appears to be a total flop. A few months after it was first released I posted about how the Kindle for Kids bundle wasn’t getting much attention, and that was with the previous generation Kindle. At the time it only had 37 total reviews after 3 months. Compared to other Kindles that number was really low, but the newer Kindle for Kids bundle is getting even less love from customers. It currently only has 12 total reviews, with an overall rating of 2.9 stars, and that’s after they started selling it seven months ago. It gets less than 2 reviews per month! By contrast, the same exact Kindle minus the “kids bundle” currently has 5,000 reviews at Amazon, and it’s been selling for less than 1 year. The disparity is remarkable. Both are the exact same Kindle with the exact same software but one clearly sells wayyyy better than the other. The crazy thing about it is the Kids Kindle bundle is actually a better value than the $79 Kindle because it comes with a 2-year warranty, no ads, and a cover. At $99 it costs $20 extra, but if you don’t want ads it’s actually a better deal because that’s how much it costs to remove them so it’s like getting a 2-year warranty and a cover for free. The problem with calling it a Kids Kindle bundle is that is most people probably just assume that it’s only for kids and it has some limitations over a regular Kindle. 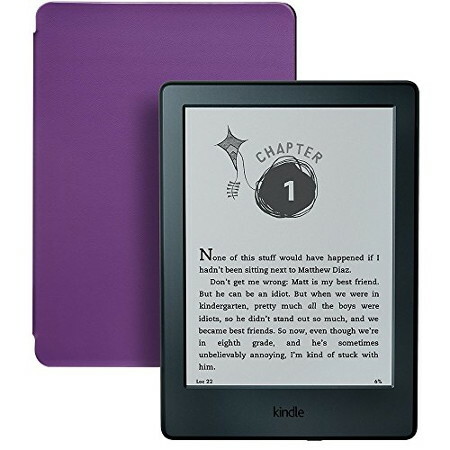 Maybe an actual Kindle designed for kids would sell better, one with a user interface and preloaded content designed specifically for children, with word games and learning tools, instead of just slapping a colorful cover on a regular Kindle and calling it a Kindle for Kids. Does Anyone Miss Having Word Games and Apps on Kindles? Kindle Manga Review and Video Demo – Best Manga eReader? I suspect one of the big issues is that kids want at tablet, not an e-Ink device. The Fire Kids Edition has over 20,000 reviews. I suspect kids will not graduate to a reading only e-Ink device until their teens, at which point they don’t want something called a “kids” device, so they get the regular Kindle. I also think part of it is the extra $20 to remove adds. We’re not exactly comparing apples to apples if there is no Kids bundle option that is $20 less. Got my basic Kindle at $50 (with adds) around the Holidays. Awesome deal! Also, I agree with David. The bigger part of it is that young kids probably prefer tablets over e-readers. I agree it is not a “flop”, because it really is just a marketing effort. Although agree that it is a pretty half-hearted marketing program. I just looked at the bundle, and Nathan is right, why not throw a good free kids book or two on the tablet, and keep the price the same. I’m one of the positive reviews on the bundle. 🙂 I think I got it for $59 on sale. An amazing deal! I think they need to take the “Kids'” part out of the title though. Maybe call it a “Reader’s Bundle” or something like that. I use this as my office Kindle. I know I can read on my phone, but I don’t get that “immersion” feeling like on a Kindle.